A clarification by Kotak Mahindra Bank denying talks with Berkshire Hathaway on a 10 per cent stake sales to Warren Buffet's firm buffeted the shares on Friday. The private bank's shares that opened trading at Rs1,181 on NSE and dipped to an intraday low of Rs 1,176 soared 13.87 per cent following a media report about the Berkshire Hathaway talks. After the bank informed the bourses that there were no such talks the shares shed part of the gains from its intraday high Rs 1,345.35 to close at Rs 1,284 or 8.84 per cent higher, according to market reports. The share was still far from the 52-week high of Rs 1,417 that it achieved on July 16 this year. "We confirm that we have nothing to report to the exchanges on the said item. 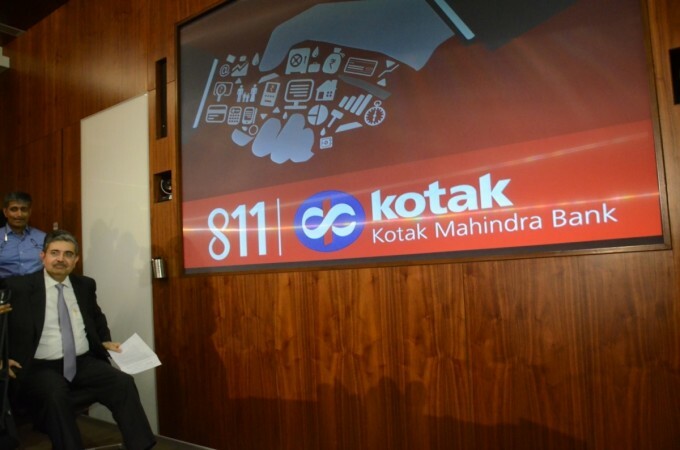 Kotak Mahindra Bank is unaware of any plans by Berkshire Hathaway to buy a stake in the bank as stated in the story," the bank said in a notice to the BSE. NSE's sectoral index Nifty Bank that opened the day on 26,307.40 soared to 26,659.70 on the strength mainly of Kotak bank movement before closing at 26,594.30. The rumours of the talks floated after reports emerged that the RBI had mandated Kotak Bank to reduce its promoter shareholding to 20 per cent of its paid-up capital by December 31, and 15 per cent by March 31, 2020. Uday Kotak, vice chairman and managing director of Kotak Mahindra Bank, has a 30.03 per cent stake. The tumult over Kotak Bank shares occurred days after rival lender Yes Bank accused it of allegedly instigating negative media. Yes Bank targeted financial newspaper Business Standard owned by Uday Kotak, who is also the principal shareholder of Kotak Mahindra Bank. Yes Bank included its letter to the newspaper in a filing with the stock exchanges. There were reports that the RBI rejected the bank's proposal in August to issue non-convertible preference shares to cut the promoter holding. It had talked of a plan to raise Rs 500 crore through non-convertible perpetual non-cumulative preference shares in its attempt to dilute the promoter shareholding. Kotak Bank shares have been on investors' crosshairs since October following RBI strictures on Bandhan Bank for failing to meet promoter shareholding norms. The central bank barred Bandhan Bank from opening more branches without approval and also ordered the freezing of CEO Chandra Shekhar Ghosh's salary.